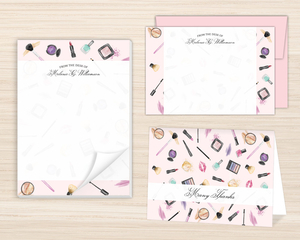 What is a stationery set? 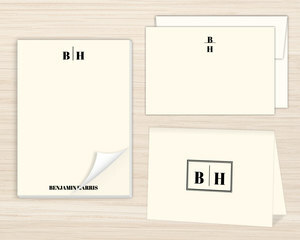 Well, aside the specifics of what's in the set, it's pretty self explanatory. 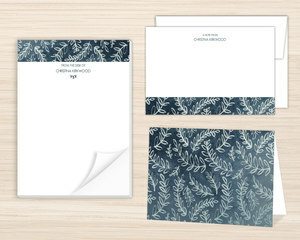 We have a notepad, 10 cards with envelopes, and 10 folded cards with envelopes. 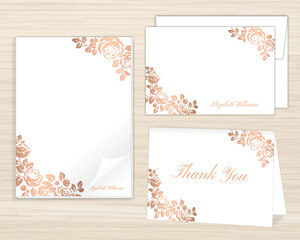 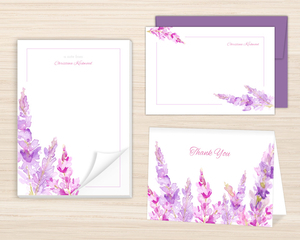 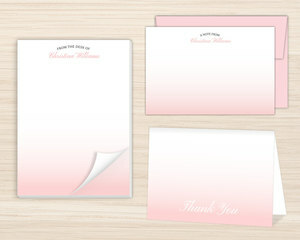 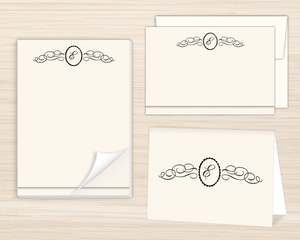 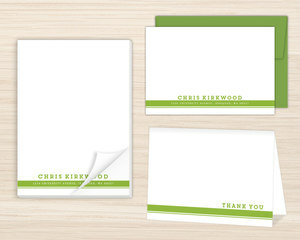 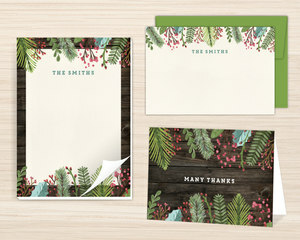 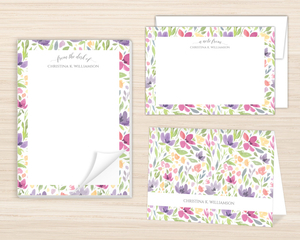 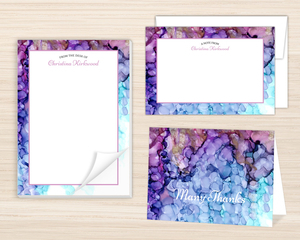 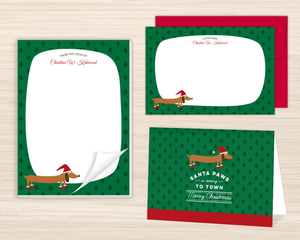 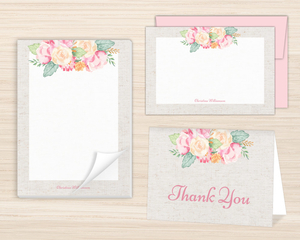 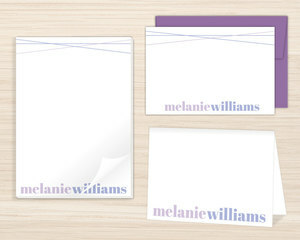 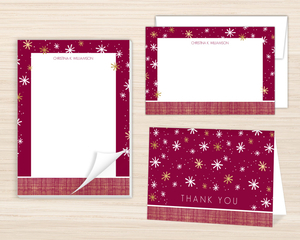 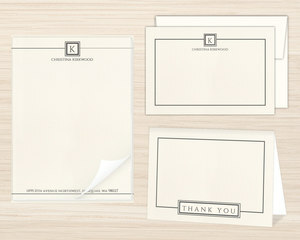 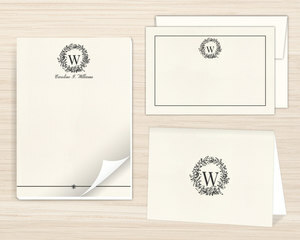 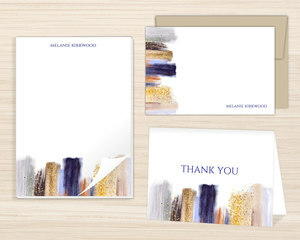 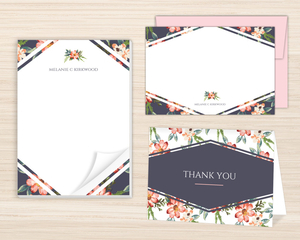 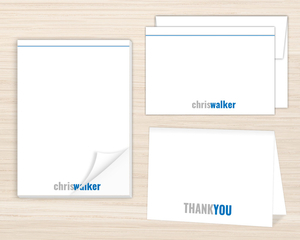 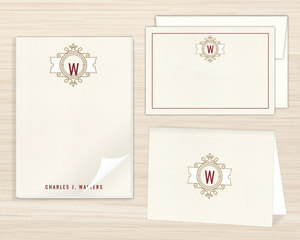 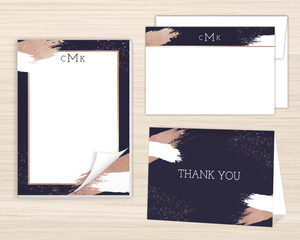 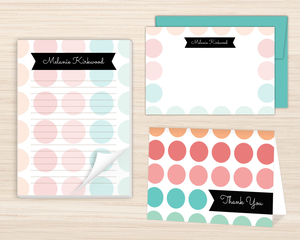 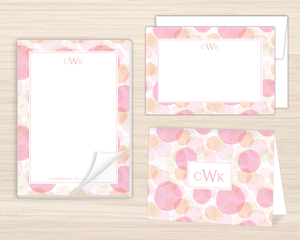 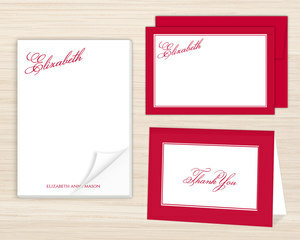 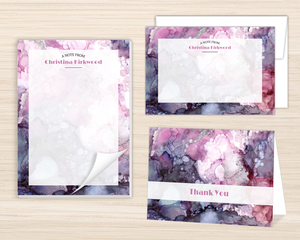 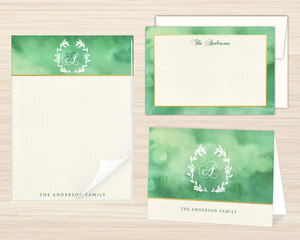 You can choose the envelope color that you'd like best, but we automatically match them otherwise, the size as well. 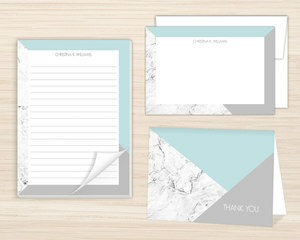 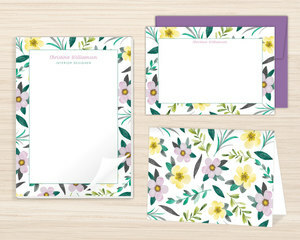 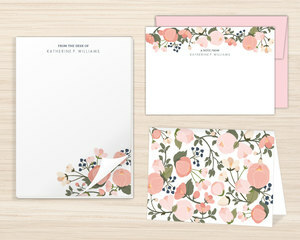 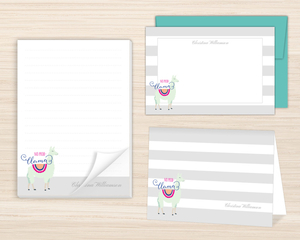 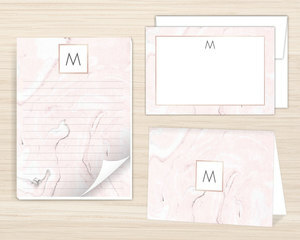 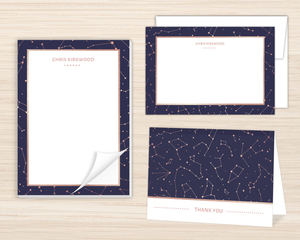 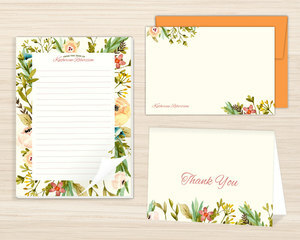 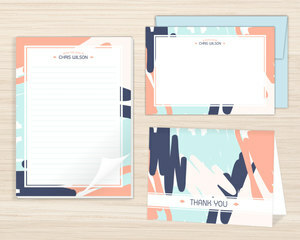 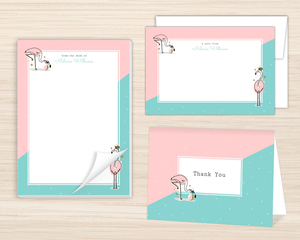 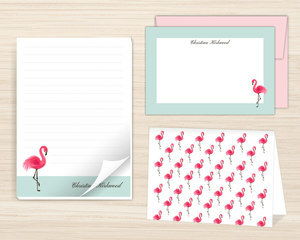 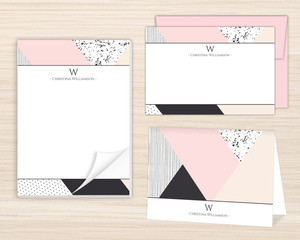 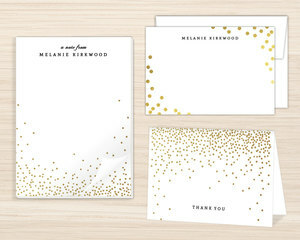 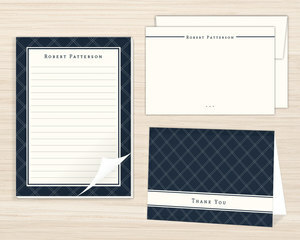 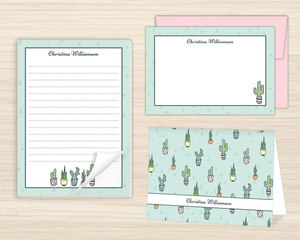 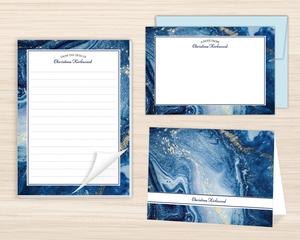 These are premiere stationery sets that look great on any working desk. 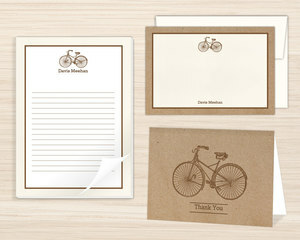 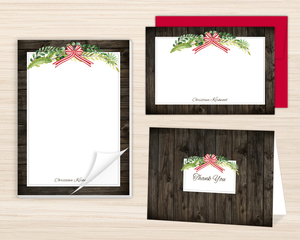 Each item is customizable aside the envelopes. 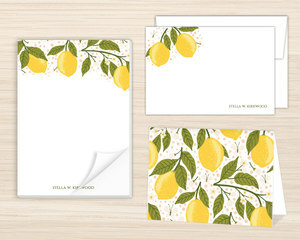 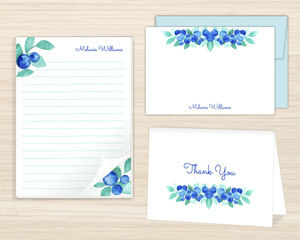 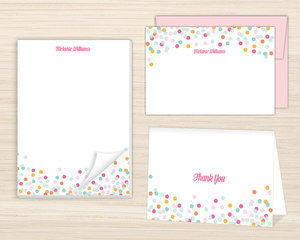 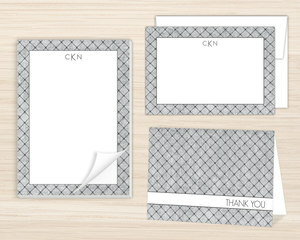 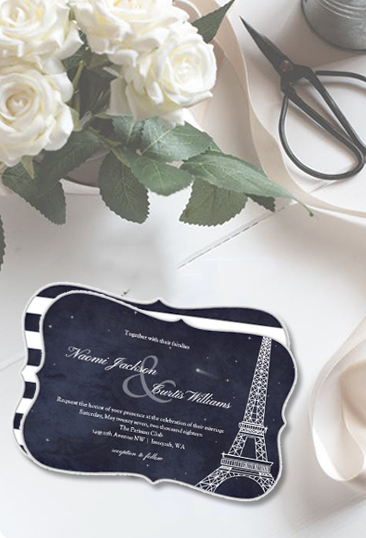 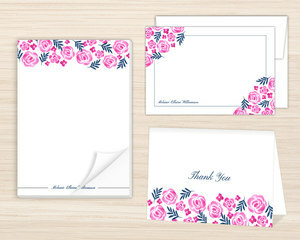 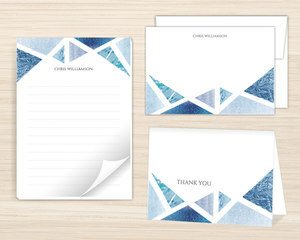 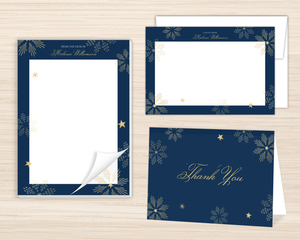 Envelopes can be customized, but must be purchased as a stand alone item. 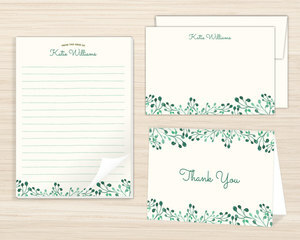 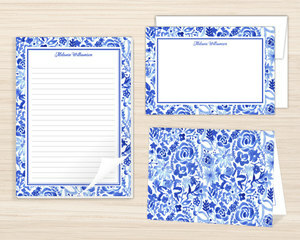 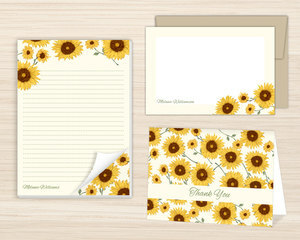 These make a fantastic gift for anyone that has a desk job, loves writing, or just loves paper! 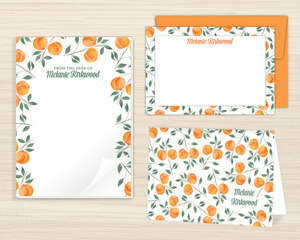 And I'd argue that this is a heavily justifiable purchase if you hold an office position. 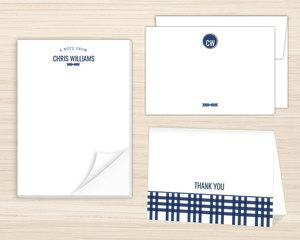 They add an air of professionalism to the desk, as well as look great. 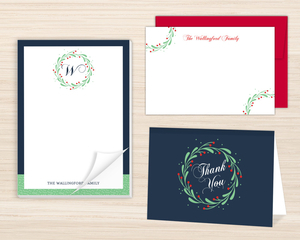 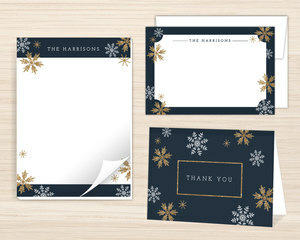 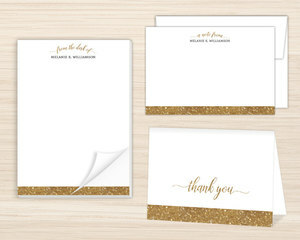 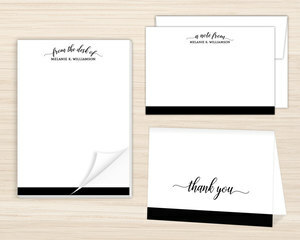 We shouldn't have to mention that they're crazy useful too, from a quick note on the notepad to an easy thank you card, to a notecard to keep your important meeting talking points in line. 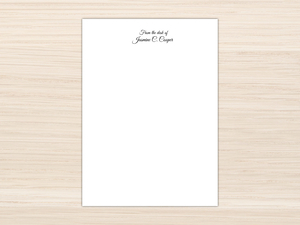 Paper unlocks many things. 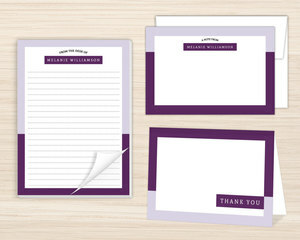 Unlock your potential, or theirs, with Stationery Sets from PurpleTrail.